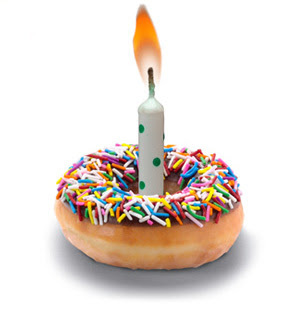 IN THE KNOW WITH RO: CAN YOU REALLY GET FREE STUFF ON YOUR BIRTHDAY? I don't volunteer my age, but I'll share it when asked. Today's my birthday, and I share it with Casey Affleck, Yvette Nicole Brown and a lot of YouTube stars I've never heard of. People ask me all the time if it's really possible to get a lot of free stuff on your birthday. That's an emphatic "yes you can"! 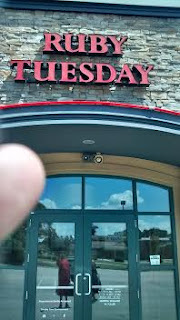 Ruby Tuesday in Fuquay Varina, NC, and my finger-sorry! Years ago, it was easy to walk into an establishment, tell them it was your birthday, and you'd get serenaded with a free dessert. Now, many businesses encourage you to sign up online and they'll honor your birthday, but very few actually follow-through. But you do get plenty of emails telling you about new products or how to get a 25% discount. Some, you never hear anything - ever. Anyway, here's a few companies who really do offer up those birthday freebies pretty consistently. Receive either one free burger or one free garden bar entrée, each up to $11 in menu value. Simply show this code on your phone or print this page and bring with you. Receive either one free burger or one free garden bar entrée, each up to $11 in menu value. Valid August 06, 2017 - September 03, 2017. Taxes and excess value are excluded and are responsibility of customer. One coupon per customer. May not be combined with any other offer, coupon, discount or promotion. Not valid with limited time offers, daily specials, catering orders, Kids Eat Free program, or for alcoholic beverages. If applicable, discount will be applied to the item of least value. Coupons cannot be duplicated and have no cash value. Tax and gratuity excluded. Coupon will not be valid if downloaded from a third party website. Offer valid only for dine-in and TueGo, only at participating locations. Excludes Guam, Hawaii, Manhattan, airport and international locations. RO, thanks for being a Birthday Club member. We hope you have a 31-derful birthday. To make your day a little sweeter, stop by your neighborhood Baskin-Robbins® and enjoy a FREE 2.5 oz scoop or a 3 oz swirl of soft serve* on us! You can also celebrate with an ice cream cake! One free doughnut of your choice PLUS one free small Krispy Kreme coffee or fountain drink. This is more than an email wishing you a happy birthday. It’s actually a one-of-a-kind birthday gift: a full stack of FREE Rooty Tooty Fresh ‘N Fruity® Pancakes*! After all, “cake” is part of pancake, right? Don’t forget, as a Pancake Revolution member, you’ll get other great offers all year long, so keep an eye out. We wouldn’t want you to miss a thing! So whether you want to celebrate over Rooty Tooty Fresh ‘N Fruity® in peach, raspberry topping or glazed strawberry, or dig into a stack of our other pancake flavors (excluding combos), the choice is yours. Your reward is already loaded. Just in case you're wondering what I'll be doing today. All of the places listed above, I've visited throughout the month, so I'll be clipping coupons and putting them neatly in a binder, which is long overdue. I started yesterday, and managed to get through 1/4 of them that have been sitting in a box piled up. This project will take at least another dang 4 hours, but it must be done to maintain my sanity and get some order. 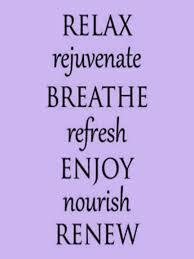 Happy Saturday and HUGE Hugs! Happy Birthday RO, I'm glad to hear that some of the establishments actually follow through with birthday goodies, I hope you have a great day and cash in on a few of the offers. Thanks for the birthday wishes! That's the pits about no BR anymore. How dare they! 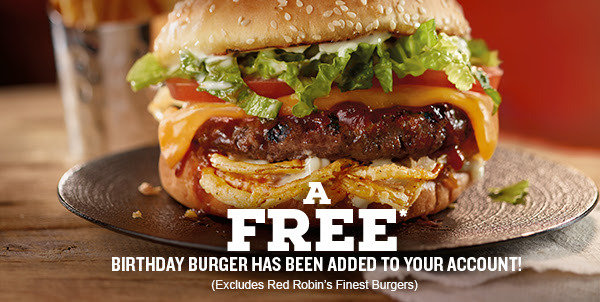 Del Taco also offers a free birthday milkshake if you sign up for their birthday promotions. They've sent me an email with a printable coupon for a free milkshake every year for the past few years. A very Happy Birthday to you. I don't know how many places here offer birthday treats. Not many is my guess. Thanks for the kind wishes. I'm so behind on responses. I'll bet there are tons there that may not advertise all those goodies. Hugs and Happy Saturday! Happy Birthday, my friend! Woo Hoo! Way to celebrate. If you have an opportunity pit-stop by. Happy Birthday my dear! :)) I hope you have fun with your book! My last birthday was spent with food poisoning, so you are leading a much more exciting life that me lol... ;) I used to go to my favourite pub and I would get a free beer on my birthday. Haven't done that in many years though! Thanks so much! My goodness to suffer with food poisoning on your birthday doesn't sound fun at all! I'll bet they'd love to see you at that pub to say hi! Hugs... Happy Saturday! Thanks so much Jan! Happy Saturday! Happy birthday, Ro! I like the kicked back birthday plan you have. Now it sounds like I need to be hanging out with your hubby's grandmother on her birthday. Sounds like tons of fun! That's a great idea for a bookstore to do that on birthdays. You're blessed to have that for sure. It was an interesting day for sure. (lol) Happy Saturday! Happy Birthday RO, I rarely take advantage of Birthday perks, either not convenient to me or have something else planned. But I do on a few! I'm with you on that Debbie. I'm obsessed with freebies, but admit that if they were too far out of my way, I'd pass, as well. Happy Saturday! Happy birthday Ro! My favorite is the Red Robin freebie. They're my favorite burgers - especially the one with the candied bacon. I get the Ulta and Sephora gifts but didn't know about the others. Sounds like you'll be having a fun birthday month! 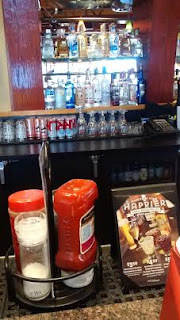 Red Robin does have some awesome burgers and unlimited fries - yes! That's great that you can take advantage of the Ulta and Sephora gifts. I try to take advantage as much as possible, but only because they're pretty close to where I live. Wouldn't be worth it if I had to travel all across the country. Happy Saturday! Happy birthday! I've never thought about claiming freebie stuff for my bday. 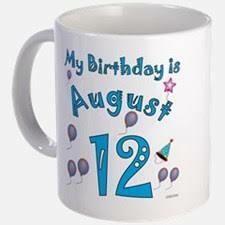 I always hear about it after my bday has passed and forget all about it the following year. 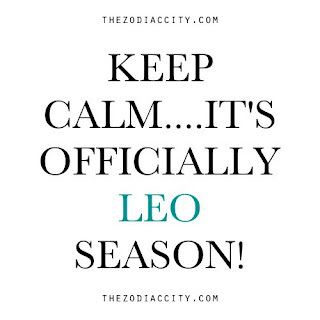 So happy you posted this since my bday is in a few weeks! LoL I just need to figure out if some of these places are close to me. I think I like the free pancakes or food. though I've never go around trying to get some. happy very belated birthday. I hope you had fun. Get all of your Amazon purchases for free. Here are Collect 100 points & get* an $100 Amazon Gift Card you can earn free Amazon gift cards.